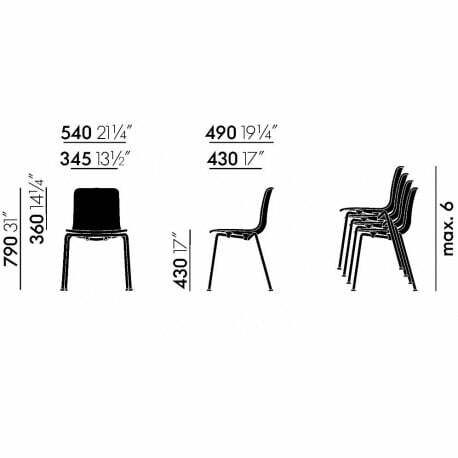 With HAL, Jasper Morrison has created a reinterpretation of the multifunctional shell chair and a varied chair range with a distinctly contemporary appearance. 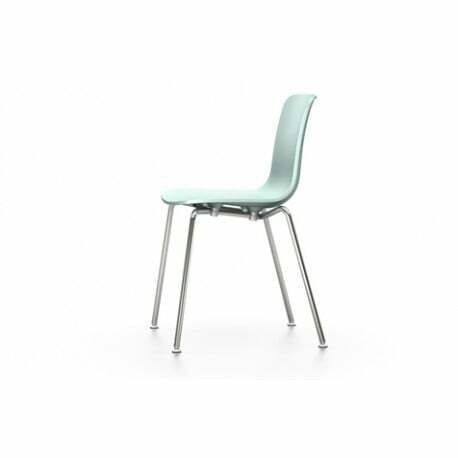 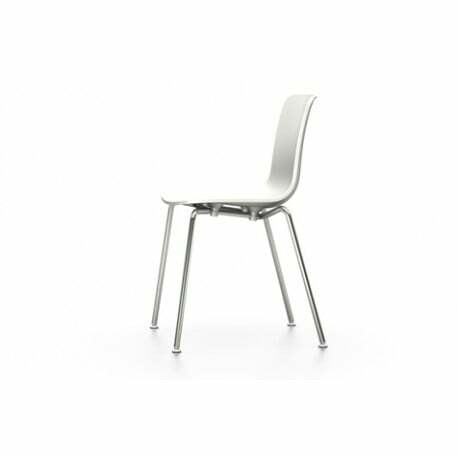 The shape of HAL‘s shell ensures plenty of freedom of movement and the slightly flexible plastic makes many different sitting positions possible – even sideways and astride the chair. 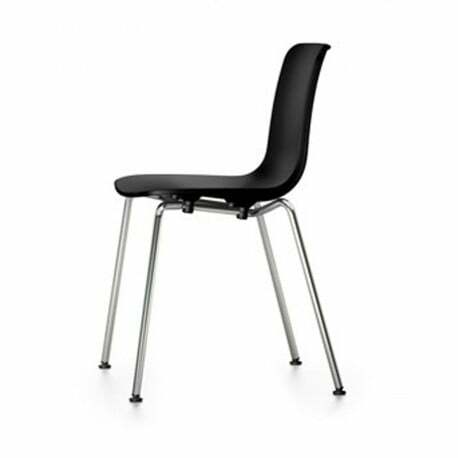 Because of this, HAL facilitates dynamic, ergonomic seating. 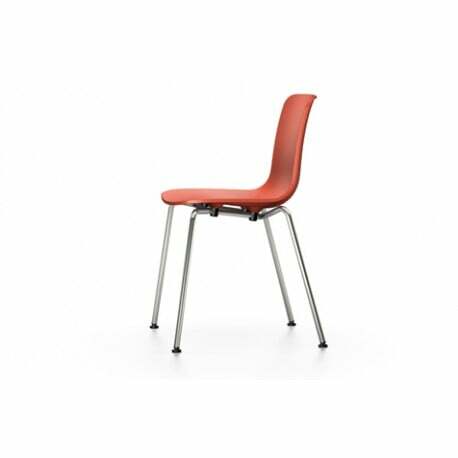 The selection of bases and shell colours opens up a wide range of choices as well. Combining the chair with the matching HAL Table, which was developed at the same time, is also an option. HAL can be used in all kinds of environments – in the office, as well as in public spaces and in the home. 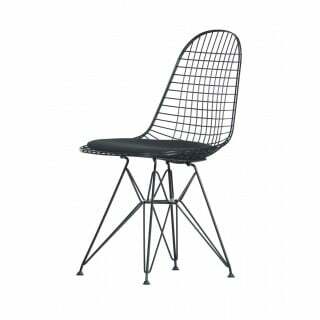 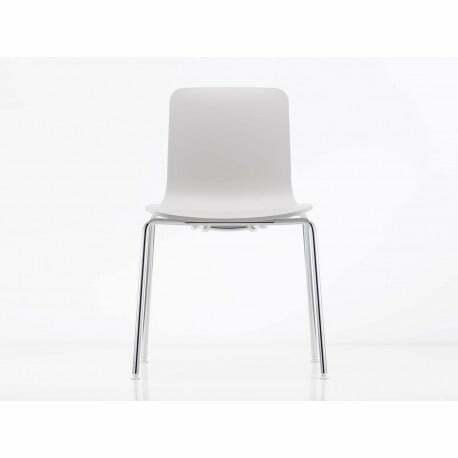 - Shell: polypropylene seat shell, dyed through. - Glides: colours match the small parts for attaching the seat shell, optionally in white (RAL 9010) or basic dark (RAL 9004). - Bases: all bases with glides for carpets or optionally with glides with felt pads for hard floors. - HAL Tube Stackable: Stackable fourlegged base of chromed tubular steel.